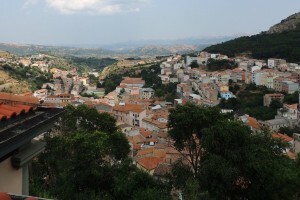 Bitti is one of the most famous towns in the Nuoro province, and the most important in the northern part of the Barbagia area. 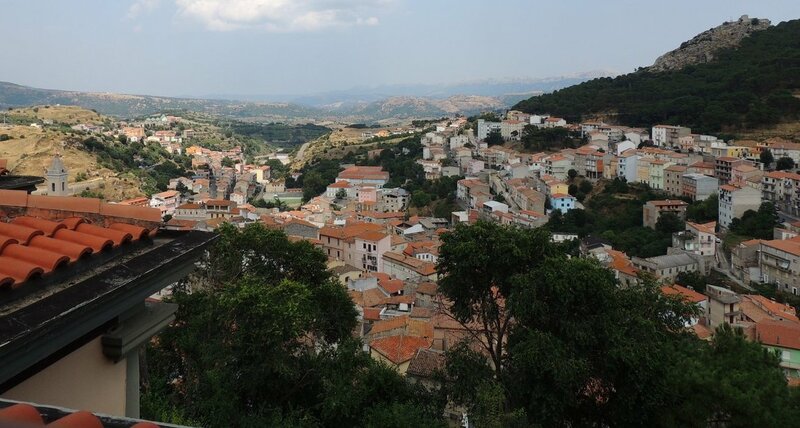 Bitti is a sheep-farming town that became famous for its traditional Sardinian polyphonic singing. The main music group is the “Tenores di Bitti” (tenors of Bitti). 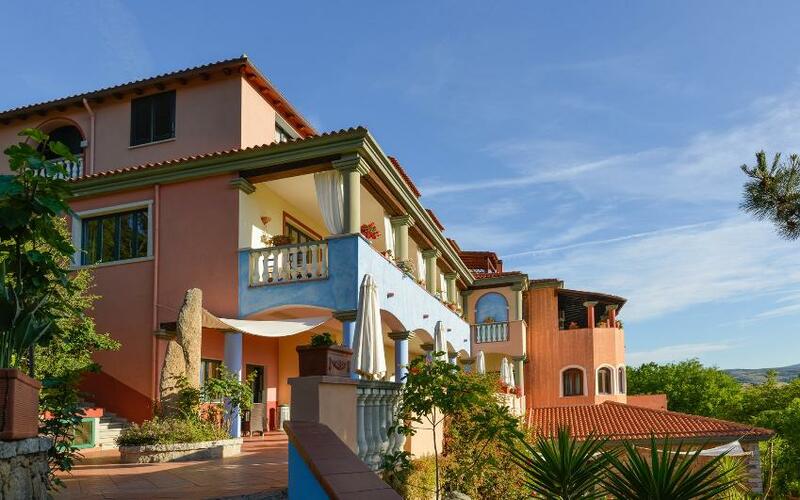 A well preserved town typical of inner Sardinia, with big low houses and narrow streets that offer panoramic views unchanged by time. The recent institution of the Tepilora Natural Park, and the historic Sos Littos Park – Sas Tumbas, which are located mainly on the territory of the town of Bitti, make this location perfect for those who love nature, trekking and want to discover the most authentic and untouched side of Sardinia. The main festivities in Bitti are “San Giorgio Patrono di Bitti”, on April 23rd , and the festival of the “Madonna del Miracolo”, on September 30th. For nature lovers, the mountain Mont'Albo or Monte Albo is the biggest range of the area, ideal for trekking and hiking along the canyons, gullies and fascinating valleys, a mecca for speleologists. Along some paths it is still possible to see the old shepherds’ dwellings, called “sos pinnettos”. There are many modern festivities that allow you to visit Bitti and appreciate its culinary delicacies, its traditions and also to see the famous traditional costumes worn by women on such occasions. We recommend the Autumn in Barbagia" called also "Cortes Apertas" in some editions. For those who love climbing, Bitti has an important cliff at the foot of “Punta Sa Donna”, also known as “Preta Orteddu”, near the locality of Mamone, along road S.P. 50. Paths of 40 degrees 5b difficulty level, ideal for those who love free climbing. To uncover the secrets of the ancient “a Tenore” singing, you can visit Bitti's Museum of Pastoral and Farming Civilization and the Museum of “a Tenore” singing, located in the historical center of town. The agro-pastoral civilization, its old tools and traditions are alive in this museum. Among the countryside churches, that come alive during the festivities, we recommend the Church of Santo Stefano and the Church of Babbu Mannu. For those who love industrial and mining archeology, we recommend visiting theancient Roman mine Sos Enattos Lula, a fascinating monument to Sardinia's past. For archeology lovers, we point out the Sacred Well called Su Tempiesu di Orune, a few kilometers from Bitti: a temple that is a testament to Sardinia's old religiousness. If you choose to spend your holiday in Bitti, we recommend an attraction to discover Sardinia's Nuragic history: the Nuragic Village Su Romanzesu. 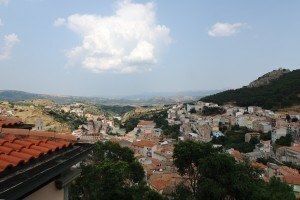 It is a charming village in the locality of Poddi Arvu, about 10 km from Bitti. It is considered one of Sardinia's most important villages of the Nuragic era. Finally, the territory also has several “Dolmens”, ancient rock constructions, often used as funerary monuments. Between Bitti and Buddusò there are the ruins of several “dolmens”: among those, the Dolmen of Sa Jann' 'and Su Laccu and the dolmen of Sos Monimentos are surely worth a visit. The territory of Bitti is perfect for those who love hiking and trekking, thanks to the beautiful mountains and waterfalls that surround it. There are many springs and waterfalls, a perfect destination for a vacation surrounded by nature. The waterfalls of S'illorai are framed in a gorgeous natural landscape: less known to tourists, basically uncontaminated, visitors can appreciate amazing panoramas all along the way, and walk surrounded by nature where the Mediterranean maquis dominates with its characteristic colors and smells. The tour is organized for a group of 5 to maximum 15 people and starts at 9am. Once back, there will be a much deserved lunch at a typical local agriturismo (farm house). This tour explores the Forest of"Crastazza" e "Tepilora", a mountain area of great naturalistic and environmental interest. Other tours in Bitti are tours of Littos (watchtower of Prammas – Rio Altana – Sa Cassitta), l'hikes to the waterfalls Sas lapias and the hike to Nuras, ancient carriage way carved by charcoal makers.